Long before Ford Motor Company used monikers like “modular” and “Coyote,” Blue Oval enthusiasts relied on Windsor, Cleveland, FE, and 385-Series big-block engines to power their Torinos, Fairlanes, Galaxies, and Mustangs. Today, Ford’s multi-cam powerplants grab most of the headlines, but a well-built Blue Oval big-block never goes out of style. 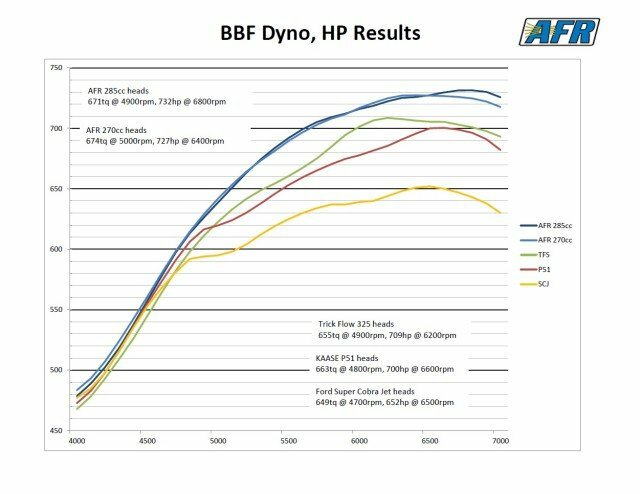 While the Coyote and modular V8s perform well and offer amazing efficiency, they lack displacement much past 351 cubic inches. So if you’re after cubes a big-block is the only way to go. 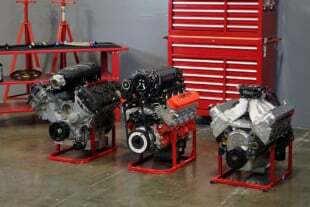 In Ford speak, the term “big-block” generally refers to FE or 385-Series engines. Both are indeed considered big-blocks, but feature completely different architecture. FE engines were built from 1958 to 1976, the 385-Series entered service in 1968. The 385-series engines are most notably known for their robust bottom-end and poly-angle valve heads. Ford’s 429/460 heads do a nice job in performance applications, but there are many shortcomings that can be improved upon with quality aftermarket heads. Building a 429 or 460 is an excellent way to get reliable horsepower and torque without breaking the bank. Stock blocks and cranks are suitable for many builds, but you’ll want a top-end able to move some serious air. One of the leaders in producing Ford big-inch induciton is Air Flow Research (AFR). AFR’s Bullitt cylinder heads (and matching intake manifold) are a great way to accommodate a vast array of combinations and power levels. To meet these demands, AFR offers three different heads with intake ports sized at 270 cc, 285 cc, or 300 cc. Replacing your factory iron heads with AFR Bullitt heads will drop 70 pounds from your engine. Though originally developed as a passenger-car engine, Ford created the Cobra Jet, Cobra Jet Ram Air, Super Cobra Jet, and the Boss 429 performance variants from the base 429. Cobra Jet heads were pretty good from the factory, but AFR has engineered a new design that increases the performance capabilities and significantly reduces weight. Passenger-car 429/460 heads feature 2.09/1.65-inch valves, which on a big-block is not the best for producing power. In addition, later heads have large 88 cc combustion chambers for lower compression. On the plus side, 429/460 engines were produced from 1968 to 1997, so they remain plentiful, and many builders like the robust bottom-end and the favorable bore/stroke combinations. Ford’s 429/460 engine fit nicely in all types of cars and trucks, including the lightweight Fox-body Mustang. Speaking of stroke, the 385-series gets its moniker from the crankshaft stroke length of the 460, which measures 3.85-inches. Said crank sits in a non-skirted block, and was commonly offered in 370 (truck), 429, and 460 cubic-inch displacements, however, with a stroker crankshaft and mild overbore, a 460 block can be bumped to over 550 cubic inches. In fact, Ford Performance once offered a 514-cubic inch crate engine based on the 460, but unfortunately, this engine is no longer available. Common 385-Series engine specifications include deck heights of 10.300- or 10.310-inches (early); 10.322-inches (late), rod length is 6.605-inches and bore spacing measures 4.900-inches. Bore x stroke (in inches) measures 4.050 x 3.59-inch on the 370; 4.360 x 3.59 (429); and 4.360 x 3.85 on the 460. AFR worked very hard to match its cylinder heads to the needs of street and racing enthusiasts. “The typical AFR customer is an enthusiast who wants quality first and foremost—someone who wants a product made in the USA, which performs on the street and at the track,” said Tim Torrecarion, director of marketing and sales at Air Flow Research. During the design phase, AFR removed the dog-leg shape of the stock head’s oe exhaust ports. With the stock heads, the air must navigate a power-robbing 120-degree turn. The solution came by filling the exhaust floor, which cleans up the ‘dead space’ in the port. The result is greater velocity and flow, plus improved scavenging, which leads to more efficient cylinder filling as well. “The biggest advantage to an AFR cylinder head is our efficient port design,” added Torrecarion. “Not only do our heads flow a ton of air, they do so without sacrificing velocity, and this is the key to making an engine really perform. In the case of the BBF, we spent a lot of time on the exhaust port, where we were able to achieve an intake-to-exhaust ratio of about 75 percent. We spent countless hours designing and perfecting port shapes and valve job contours,” he added. Chambers are offered in 75 cc or 85 cc configurations and all Bullitt heads get a competition five-angle valve job. Like many older Ford heads, port size is not the issue. In fact, for many applications, the stock ports are oversized, which can hurt velocity. This meant reconfiguring port design, to gain improved flow with the smallest possible ports. In addition, AFR worked to unshroud the valves for improved airflow. CNC-porting ensures consistency. AFR offers basic porting or competition porting. AFR recommends using its own manifold for perfect port alignment and power. The single-plane manifold can be fitted with either a 4150 or 4500 flange. The floor was raised on the intake and exhaust ports to smooth the airflow and the port shape was changed to a rectangular style. These changes provide a smoother path for the air which keeps velocity and flow very high. Improving velocity always gives an engine better low- and mid-range power, which is what you want with the big-block. AFR’s Bullitt line-up starts with the 270 cc series heads that retail for $2,099.00. Features of the 270 cc include partially CNC-ported intake ports, exhaust ports and combustion chambers, plus a competition five-angle valve job that gives the 270 flow characteristics that will work best on engines up to about 477 cubic inches that aren’t revved past about 6,200 rpm. This is the perfect fit for a mild street or street/strip engine, or one used for towing. Intake port dimension measure 2.230-inches tall x 1.815-inches wide with a stock port location. Exhaust port location is stock and volume is 132 cc and port dimension is 1.830-inches high x 1.600-inches wide. Valve Angles are 14 degrees on the intake and eight degrees on the exhaust, valve spring pocket diameter is 1.750-inches (O.D.). Max valve spring pocket machining is 1.750 inches (O.D.). 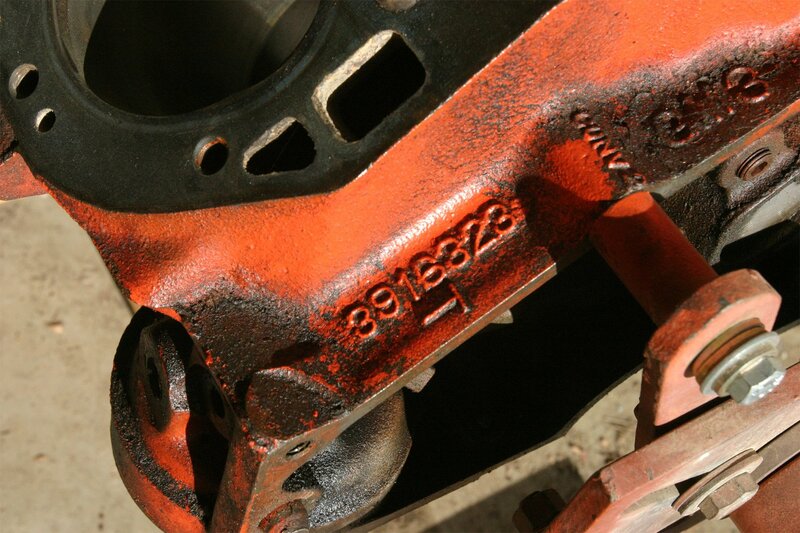 AFR cast the Bullitt heads with a very suitable 0.750-inch deck thickness and minimum bore diameter is 4.360-inches. Lastly, these heads take a 14 mm x 0.750-inch spark plug with a gasket-style seat. These heads can be optioned for either hydraulic roller or solid roller cams, and you’ll save roughly 70 pounds over stock iron castings. 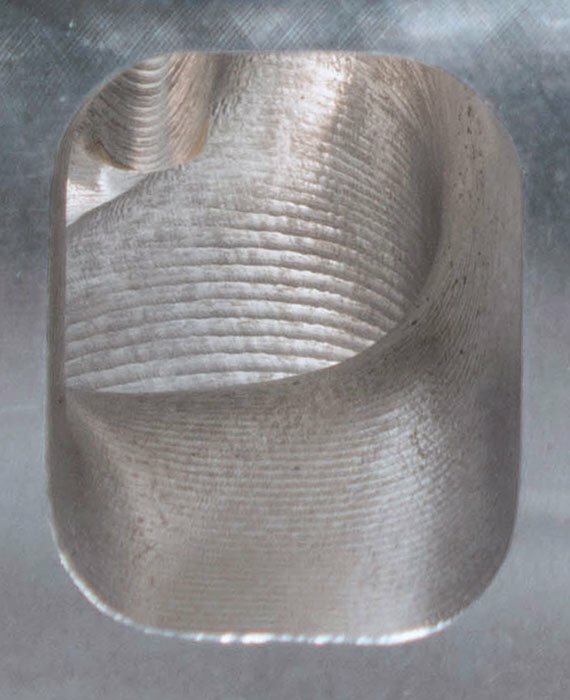 Torrecarion noted that part of the flow improvement comes from the altered intake valve angles, but this requires adding custom pistons, or notching existing pistons. Minimum clearances on depth are 0.080-inch on the intake and 0.100-inch on the exhaust, and radial clearance should be no less than 0.020-inch around the perimeter of the valve. “If your measurements are below the minimum it will be necessary to notch the pistons or replace them all together,” explained Torrecarion. It’s also necessary to install pushrods designed to work with the valve angles and locations in the AFR heads. Canted valve design allows the valves to open towards the center of the bore. This creates the most area around the valve for maximum flow. Designed to handle additional displacement (up to 512) and/or rpm (up to 6,500 rpm), AFR offers the larger 285 cc heads. These heads feature the same construction and port design as the 270 cc castings, but offer greater flow potential. Retail on the basic set is $2,522.00. 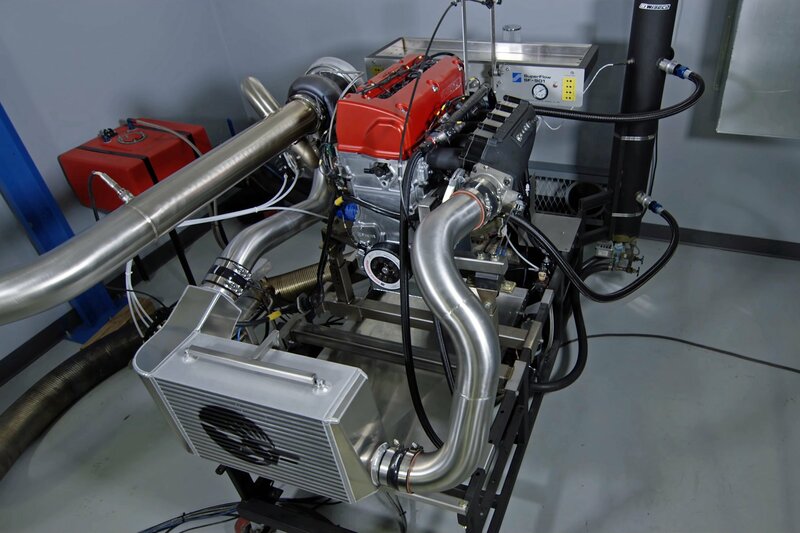 AFR provides additional flow by utilizing enlarged, fully CNC-ported intake and exhaust ports, combined with machined combustion chambers and bowl areas. Like the 270 heads, the 285 can be purchased ready to go for hydraulic or solid roller cams. You can also opt for titanium retainers ($196.00), AFR offers competition porting, and 0.250-inch raised exhaust port locations for $200.00. Features of the 285 heads include, CNC-ported combustion chambers, CNC-ported intake and exhaust ports, competition five-angle valve job, 11/32-inch bead lock intake valve 2.250 x 5.250-inch O.A.L, 11/32-inch bead lock tulip exhaust valve sized at 1.760 x 5.050-inch O.A.L. 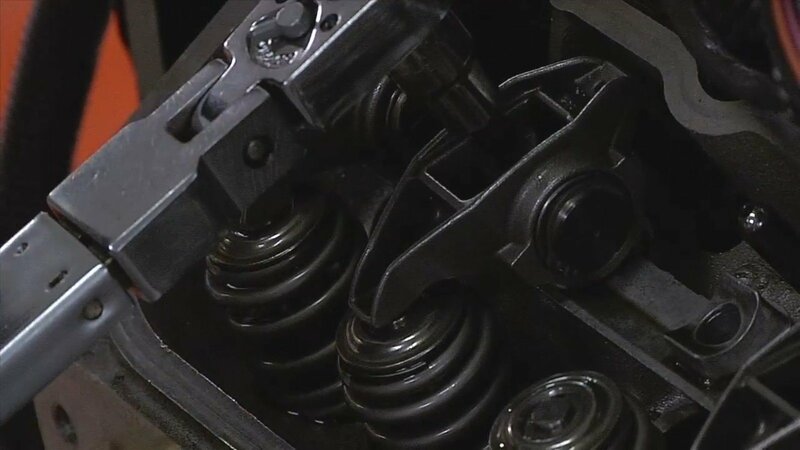 AFR chose PAC Racing PN 1224 1.625-inches OD solid roller dual valve springs with 275 pounds on seat, 0.850-inch maximum lift, and a recommended max rpm of 7,400-7,600. On hydraulic roller applications, you’ll get PAC Racing PN 1940 1.550-inches OD hydraulic roller dual valve spring with 175 pounds on seat, 0.0725-inch maximum recommended lift and max rpm of 6,500-6,700. The Bullitt 300 cc heads are AFR’s largest and best flowing BBF heads. They feature competition porting and high-quality components throughout, along with 0.250- or 0.625-inch raised exhaust port locations. With more flow potential (compare the included charts) the 300 cc heads will be the best choice for large-displacement, power adders, and/or high-rpm applications. There are four variants of the 300 cc Bullitt heads to accommodate 75 cc or 85 cc combustion chambers and solid or hydraulic roller cams. The 300 cc heads sell for $2,822.00. Air Flow Research Bullitt cylinder heads are a great option for anyone looking to increase power on a 383-series big-block Ford. They are offered in three different port sizes and with a variety of additional options. Intake port dimension are enlarged to 2.275-inches in height x 1.850-inches wide, with a stock port location. Exhaust port volume is 142 cc and the dimensions measure 1.850-inches in height by 1.600-inches wide. The 300 cc heads also feature a 0.250-inch raised exhaust port and you can select between 75 cc or 85 cc combustion chambers. Valve angles remain consistent in the Bullitt line at 14 degrees intake/eight degrees exhaust and valve spring pocket diameter is sized at 1.750-inch O.D. Should you need to go larger, the pockets can be machined to 1.750-inches O.D. Deck thickness remains at 0.750-inch and Minimum Bore Diameter is 4.360-inches. In total, there are 16 available configurations that allow you to tailor port sizes, combustion chamber size (75 cc or 85 cc), along with valve springs (hydraulic roller or solid roller camshafts) and on the 285 cc and 300 cc heads you can opt for raised exhaust ports. This extensive variety helps to accommodate a wide range of performance applications. Furthermore, AFR offers custom milling and a variety of valve train components to match your particular application. For instance, Torrecarion recommended heavy-duty Inconel intake and exhaust valves for those running boost or nitrous. “And I recommend titanium valves and retainers, plus upgraded springs to eliminate float, whether you go solid or hydraulic on high-rpm applications. “Ideally, you would also want to run our intake manifold, too” said Torrecarion, “which has the same port shape and profile as our heads. It’s offered with either a 4150- or 4500- carb flange, but our Bullitt heads will work with any of the popular big-block Ford intake manifolds on the market.” However, he cautioned to watch for any slight mismatch due to AFR’s unique port shape. Ultimately, the Bullitt heads are a wonderful option for big-block Ford owners. They drastically increase power without a notable increase in port size. They’ll help your reduce upwards of 70 pounds off the nose and give you’re the winning edge on the street or track. Evan J. Smith is an automotive enthusiast and journalist with an unrivaled passion for high-performance and racing. He is the former editor of Muscle Mustangs & Fast Fords magazine/Mustang-360.com, competes regularly in NHRA drag racing, open track road racing, and serves as a factory test driver for Ford Motor Company. He recently purchased a 2016 Shelby GT350 Ford Mustang, and still owns his original 1987 5.0 Mustang.